Nigerian civic startup, BudgIT is celebrating its seventh year in operation. Although startup news over the last few months has focused heavily on Fintechs and innovations in other domains, BudgIT is in a pretty unique field. The startup was founded in 2011, and ever since, it has been one of the country’s leading civil society advocates. 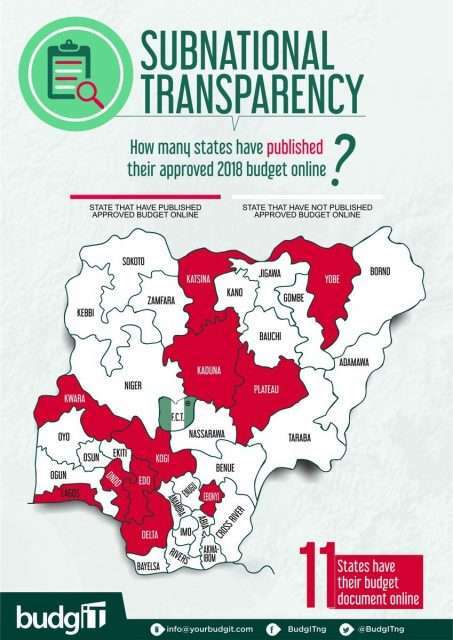 7 years of bringing the budget to the people, encouraging them to track public projects, adding light into extractive data and supporting public institutions. Here are seven things you didn’t know about the startup. BudgIT is a civic organization that applies technology to intersect citizen engagement with institutional improvement. The seven-year-old startup uses technology to sift through data for regular people to comprehend. The startup was founded by Oluseun Onigbinde and Joseph Agunbaide. Meanwhile, neither of the co-founders has a background in social work. Oluseun studied Electrical/Electronic Engineering at the Federal University of Agriculture, Abeokuta (FUNAAB). He previously worked in a bank before leaving to start the company. While Joseph studied Physics at the Federal University of Technology, Minna. BudIT has been a leading advocate for open data in the country and uses beautiful infographics to share data. It regularly publishes data about government budget as well other topical issues. Its infographics help transform inactive and boring data for better public engagement. As infographics, these data become easily transferable over the internet. And ensures that more people are privy to government information. This, in turn, increases policy engagement and discussion. Although it’s no money maker, the startup has raised quite a lot of funding so far. According to Crunchbase data, BudgIT has raised $2.9 million. Meanwhile by 2016, just five years after it launched, its total funding stood at $1.8 million. And in January 2017, it reportedly raised additional $3 million from the Omidyar Network and the Gates Foundation. Tony Elumelu is one of the early supporters of BudgIT. In 2012, the Tony Elumelu Foundation provided seed funding for the startup’s development. And BugdIT’s co-founder Oluseun Onigbinde has been a mentor for cohorts at the Tony Elumelu Entrepreneurship Programme. The startup was one of the first cohorts under the CcHub incubator programme. It is still a part of the incubator. BudgIT developed the Buharimeter, a platform that keeps track of the President’s campaign promises and how far he has achieved them. After successfully launching this, the Kaduna state government invited the startup to develop the “Open Budget” platform. Flutterwave is Giving You the Best Love Deal For This Valentine. Are You Ready?